Throughout the year, we have several itineraries of our photo workshops and tours but we were thinking about adding one more special winter version to our selection. 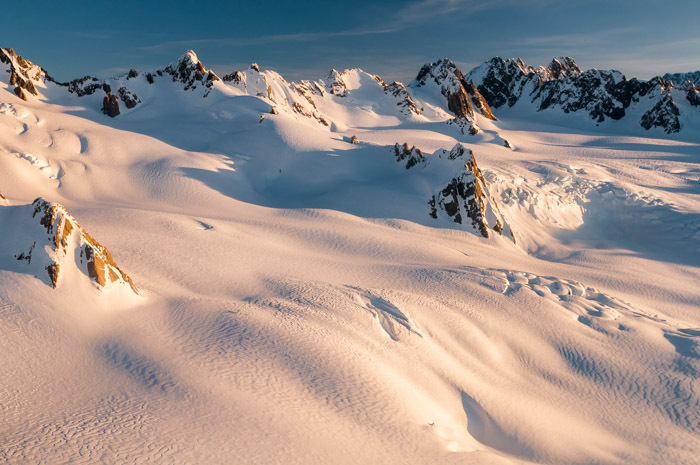 This new itinerary is almost identical with our 15 day South Island tour but we added a new, super location to it – one night will be spent in the high altitude mountaineering hut in The Southern Alps of the South Island in New Zealand. 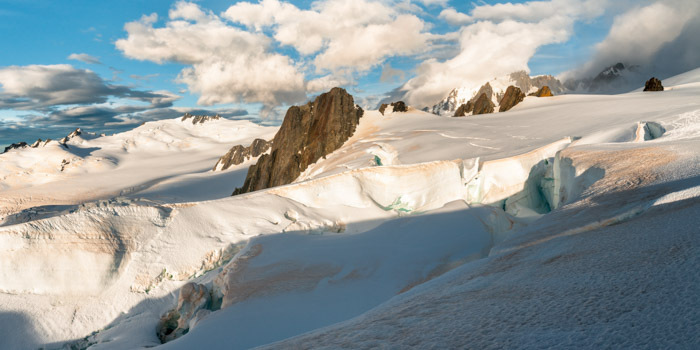 The hut sits atop of the Franz Josef or Fox Glaciers, (depending on weather conditions we chose the best option), and we will have our private, professional mountaineering guide to guide us in this spectacular environment. This combination will enable us to fully concentrate on photography, capturing images from areas usually accessible only to the skilled mountaineers. The scenery is going to be utterly breathtaking with 360 views and vistas reaching far into the Tasman Sea on horizon. We’ll be photographing spectacular West Coast sunset over the Tasman Sea from around 2800m above sea level, right under the Main Alpine Divide, as well as the sun rising from behind the following morning. This adventure is scheduled for the 4 August until 18 August 2016 and I can’t wait to taking you into some of the most spectacular location on our planet. This entry was posted on 25/08/2015. It was filed under Glaciology, Photo Adventure, Photo Workshops, Photography, Photography Tours.